Our collection of leather satchels and bags for sale is one of the best in the UK based on selection, quality and originality. We pride ourselves on having a growing selection of leather bags for men, man bags, and handbags for women that are timeless. Scaramanga started by selling just leather satchels, fast forward 11 years and our satchels are still as popular as ever, but customers now have a choice of so much more. Men and women will enjoy our unisex leather backpacks, rucksacks, messenger bags, laptop bag and more, while women will enjoy their choice of leather handbags, tote bags and purses. The quality of the leather is unparalleled, each bag is traditionally handcrafted using durable leather so it's guaranteed to last for years to come. 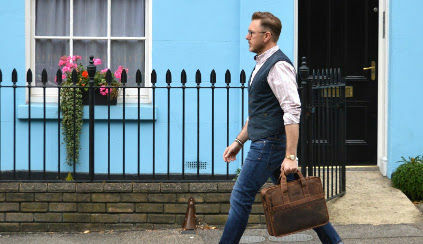 You'll find our leather satchels and bags have triple stitched handles and straps so ensure you can carry a heavy load, laptop bags have padded interior lining to protect your laptop and our antique brass fitting are superb quality. 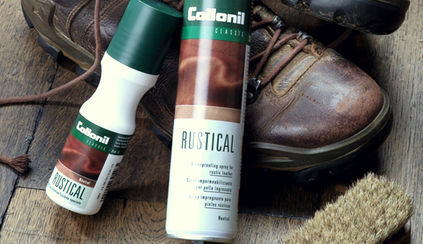 We use durable and thick naturally distressed leather that softens over time and looks better and better as the years go one. Our naturally distressed leather means that each bag looks different from the rest. So you will not only find originally designed styles of leather bags for sale at Scaramanga, but within each style, every bag is 100% unique since no 2 look alike! Our original styles are vintage inspired classic designs that will never go out of style. Some of the rucksacks are inspired by old military backpacks, whilst some of our travel bags take after retro flight bags. 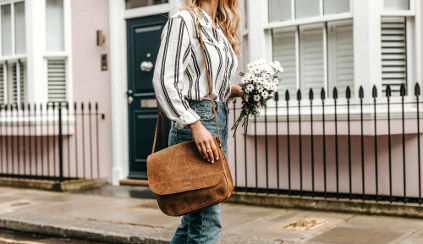 You'll be delighted by our range of ladies handbags and leather purses because it consists of iconic styles like the boho bag, bucket bag and classic tote bags. Our men's leather bags are great for professionals looking for a traditional briefcase or brown leather laptop bag. You'll be able to travel in style when you see our popular range of weekend bags for sale such as our duffle bag and canvas holdall.